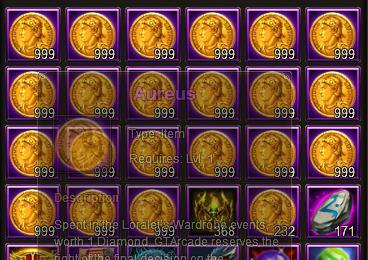 I am again coming forward with this suggestion I think we should be able to trade a certain amount of Aureus for Daric as we ;gain so much Aureus ;it takes up pages and pages of ;inventory. lease consider this ;soon. 2019-4-22 04:55 GMT+8 , Processed in 0.053093 second(s), 42 queries .